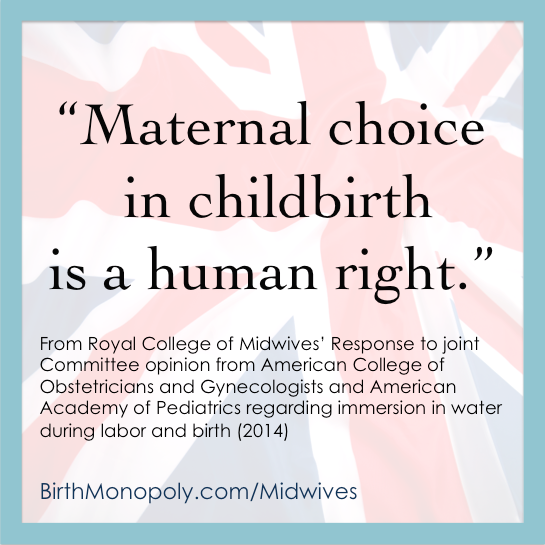 Birth Monopoly | Why Are We Asking Doctors if Women Should Have Midwives? Shouldn’t women decide if women have midwives? 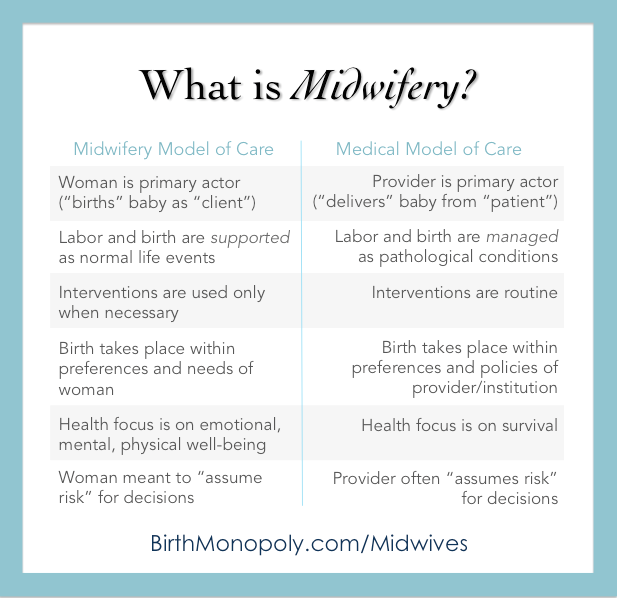 It seems like a no-brainer to me that when we are talking about midwifery care, the conversation should be with women and midwives. But one thing I’m sure that the general public and the media don’t understand, when they are constantly deferring(3) to doctors on this issue, is that doctors are the main reason women don’t have midwives. It may be hard for those of us born and raised in the U.S. to wrap our heads around the fact that midwife-led care is the global Gold Standard for mother/baby health. (4) For just a moment, though, suspend what you think you know, and consider that the U.S. has a uniquely dysfunctional system of maternity care, along with some famously poor outcomes for mothers and babies. (5) It’s helpful, then, to look outside our own system to see how things can be done better. Midwives are trained to handle emergencies, focusing more on lower risk manual skills than technological ones, but some women and babies will need treatment–like surgery–that midwives don’t provide directly, but refer out to the appropriate specialist. This is where obstetrics comes in to complement and overlap. Both professions are absolutely necessary, and the best scenario for families is one where midwives and obstetricians collaborate seamlessly, as a team. Women and babies benefit from top-notch prenatal care and the best chance of a healthy, uncomplicated birth, with the safety net of a specialized surgeon for the rare but real complications that may arise. To us in the U.S., the concept of autonomy for midwives or autonomy for women in childbirth is–largely–a foreign one. It is almost hard to imagine that a woman might independently choose to hire a midwife who works for herself or her own practice, and that the two of them together might decide when or if to bring in an obstetrician at any point. If that idea makes you uncomfortable, sit with it for a minute and think about why. What, or who, don’t you trust in that scenario? Since then, midwifery has had to scrape and crawl its way back up to the present hodgepodge of different types of midwives, with various credentials and training, and a mishmash of state laws and rules that range from “Sure! Go get yourself a midwife!” to “If we catch you with a midwife, she’s going to jail.” Likewise, there’s a wide range of attitudes in the medical community about midwives, from beautiful medical-to-midwife collaboration, to punitive treatment of both midwives and their clients, as well as any physicians who dare to assist them. This article does not focus on the few places where collaboration is the rule of the day, but on the many places where it is not. Things are better than they were, but nowhere near where they should be. Today, the American College of Obstetricians and Gynecologists (ACOG) refuses to recognize the midwives who attend around 80% of birth outside of hospitals(8) (“ACOG does not support programs that advocate for, or individuals who provide, home births.”)(9). 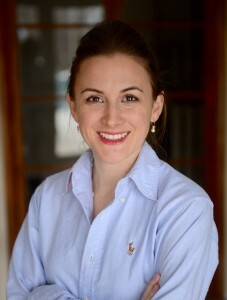 They have only recently acknowledged “accredited birth centers” as acceptable locations, as their long-time policy has been that all birth should be hospital-based (a 2008 policy statement actually blustered, “Choosing to deliver a baby at home… is to put the process of birth over the goal of having a healthy baby”)(10). Thus, they do not embrace the position of their maternal health colleagues who believe all birth should be where women decide to give birth. There is truth to ACOG’s assertion that the training and education for a very small number of these midwives is not standardized, but, really, those midwives and their clients aren’t looking to obstetricians for approval. And pushing those midwives underground certainly does not result in better training or safer births. It’s actually harder than you’d think to find places where a woman is free to independently hire and work with a midwife without the imposition of third-party supervision. 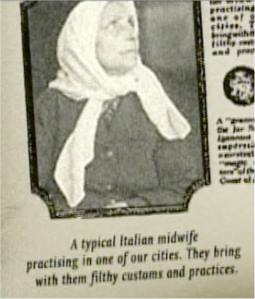 Here’s one of many true stories about how this looks in real life, for one Certified Nurse Midwife: Midwife respects her clients’ right to give birth in whatever position they like, and knows that restricting women’s movement and positioning in labor and pushing can impede labor and injure women and babies. Random obstetrician from a different practice hears that midwife’s client gave birth on her hands and knees on a blanket on the floor. He complains to the hospital, triggering new policy. Now, Midwife’s clients must give birth in bed, like everyone else. 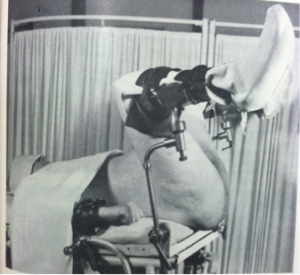 Lithotomy position from 1944 obstetric textbook. How much has changed, or not changed, in 70 years of better evidence and acknowledgement of human dignity? Yes, most women are still being told how to give birth. They are subject to practices that have been proven harmful for decades: denying them food and drink in labor (60%), restricting them to bed (76%) on their backs (92%), and tying them to continuous electronic fetal monitoring (94%) that is so faulty, the U.S. Preventive Services Task Force issued a recommendation against it, as just a few examples (see State of Maternity Care Table)(12). In some facilities, policies of physical force are used when women don’t comply with provider preferences (see “Inappropriate Use of Restraints” for an all-too-typical example of the kinds of things I hear on a regular basis from consumers). Women are still having Cesareans in epidemic numbers, for things that evidence-based guidelines don’t support or that better care might have avoided (see ACOG Safe Prevention of the Primary Cesarean Delivery). What happens to women who choose out-of-hospital care? It can be difficult for them to find doctors who will provide prenatal consultation, for one. Some women will forfeit their wish to give birth at home for fear of reprisals should they end up needing to transfer to a hospital in labor. I have spoken with women from all over the country who say they have been bullied, refused care, and treated with violence as home-to-hospital transfers. Louisiana mother Andrea Davis uses words like “violated,” “raped,” and “shame” to describe her experience (witnessed by her midwife, doula, husband, and seventeen-year-old daughter) after she transferred in to St. Tammany Hospital (which features a 45.1% Cesarean rate!) simply because she was exhausted after 24 hours of labor. Her story is not uncommon, and it’s not hard to understand why neither women nor their midwives would want to transfer into this kind of setting. It’s not hard to understand, either, why a woman wouldn’t choose that kind of environment for her birth in the first place. Family doctors and obstetricians who support midwives and their clients may also face ostracism from their peers and their profession. Several who have contacted Improving Birth are worried they will lose their hospital privileges—and their practices—if they continue to collaborate with out-of-hospital midwives. It’s sad, because these collaborative relationships are exactly what make out-of-hospital birth safer. Sociologist and professor of obstetrics and gynecology Raymond DeVries observes that other sociologists have “noted that licensing laws… have given professionals and their associations a restrictive monopoly over practice,” evolving from merely preventing an unlicensed person from using a certain title to making it “a criminal offense for the unlicensed to take any action specifically reserved for licensed professionals.”(13) He further notes the cozy relationship between the professional associations and the public agencies meant to act as regulatory and disciplinary bodies, quoting Ronald Akers’ study of the same: “It appears that their activities, personnel, and even finances overlap to such an extent that it is not entirely correct to say that the association ‘influences’ the board’s administration of public policy. . . . The cooperation between the two sometimes reaches the point of near identity.”(14) In other words, when medicine decided to “professionalize” childbirth, it simply staked out the boundaries and set up shop with the blessing of the state. The multibillion-dollar industry we have today has its roots in this self-defined, self-regulated system. Dozens of local and state consumer groups, as well as several national groups, are currently campaigning for more access to midwifery care. Certified Professional Midwives (CPMs) are legally allowed to practice in only 28 states; consumers in fourteen other states are actively working towards state licensure for CPMs, a formidable battle for what are often young, cash-strapped families. Their chief opposition? Doctors. The medical lobby. No other group is out there organized against access to midwifery, and it’s a powerful, well-funded group. In Alabama and Massachusetts, for example, the only opposition to proposed bills by consumer organizations (the Alabama Birth Coalition and Massachusetts Friends of Midwives) is the state medical society and state ACOG representation. Dr. Burcher is right. Even where midwifery is “legal” and licensed, it is frequently shaped by the political forces behind organized medicine. In other words, one profession is empowered by the state to police its competition. Its advice and permission are sought when the rules are made, and its presence—often a majority presence—is a given on the ruling bodies. I don’t know about you, but the idea that a vaginal exam is mandated by rule of the state is abhorrent to me. Put yourselves in those women’s shoes—er, stirrups. Can you imagine having to lie back and take a penetrating exam like that—just to retain the right to give birth outside of the hospital? In Louisiana, the state with a 40% Cesarean rate,(17) if you’ve ever had a Cesarean birth, you actually have to get written approval from an obstetrician and apply on an individual basis to the state medical board (the medical board… of doctors) for permission to give birth at home with a midwife. You might argue that a woman who has had a Cesarean doesn’t fit a “low risk” profile qualifying her for an out-of-hospital birth, but here’s the dilemma for that same woman: also in Louisiana, if you’ve ever had a Cesarean, outdated policies and attitudes at most hospitals mean you’re not allowed to give birth vaginally there (in Ms. Davis’ parish, for example, the rate for vaginal birth after Cesarean is a depressing 1.5%). (18) The only way you are “allowed” to give birth is by surgery. By boxing women into hospital birth at facilities with mandatory surgery policies, the state medical board is essentially compelling Cesarean surgery for large groups of Louisiana women. These are the kinds of rules we get when a group is authorized by the state and the market to act in its own self interest to decide the “how, where, and with whom” about childbirth. What’s missing? The decisions of the women giving birth. Before I end, I want to be clear about three things: One, I’m generalizing about entire professions, and I am deliberately highlighting the examples that prove my point (#notalldoctors!). ACOG has produced some wonderful work (like the “Safe Prevention” guidelines I mentioned earlier, or their amazing ethics guidelines). Obstetricians are a necessary and much-appreciated piece of the system, who are, moreover, under heavy pressures themselves. I work with some stellar ones who love and appreciate women and midwives. It is not every individual doctor, by any means, but the profession and its lobby that often acts as if the obstetrician in childbirth is there by right. Two, there is no denying that American midwifery still needs developing, expanding, and organizing, including protections for consumers. But I am continually surprised by assertions that midwifery should be more hobbled in order to achieve these goals. I don’t see any efforts to restrict the profession of obstetrics, despite the critical state of maternity care today and reports from consumers all over the country about mandatory surgery policies, coerced procedures, and abuse in hospital-based settings–with no meaningful protections for consumers in place there, either. In fact, I believe that doctors would be very resistant to the idea of an outside party levying such restrictions. No; for midwifery to reach its potential, midwives must be recognized as autonomous professionals–self-defined and self-regulated. Three, I’ve never had a home birth and never will. This has nothing to do with my personal choices. What I see is that midwifery care is the Gold Standard the world over, and the less than 10% of U.S. women taking advantage of it is an artificially low number. That number represents not women’s best interests, but a conflict between what women need and what Big Medicine already has. This brings me back to my original question: Why are we asking doctors whether women can have midwives? Is it so hard to believe that women actually know what they need and want in childbirth? And that, for some of them, midwife-led care might be it? Let’s please trust that women (#yesallwomen) are capable of figuring out how, where, and with whom to give birth. For those women who have the luxury of choice, they do not need to be told where to spend their maternity care dollars, nor do they deserve to have that money funneled into a system that doesn’t always fit them. For those women who are already limited in their choices, walling off an avenue for them to access compassionate, personalized, life-saving care is an egregious wrong. Finally, it is the human right of every woman to decide where, how, and with whom she will give birth. Period. Moving forward, we must affirm that collaboration and respect among health care professionals can only make American maternity care better. A recognition of the natural rights of women over childbirth can only make care better. If it is midwives who women identify as best fitting their needs, that should be the end of the conversation. There is no other permission to be sought. (7) Tew, M. (1998). Safer childbirth? A critical history of maternity care. (3rd Ed.). New York, NY: Free Association. (13) DeVries, R. (1996). Making Midwives Legal: Childbirth, Medicine, and the Law. Ohio State University Press: Columbus. (14) Akers, R. (1968). The Professional Association and the Legal Regulation of Practice. Law and Society Review 2: 463-82. 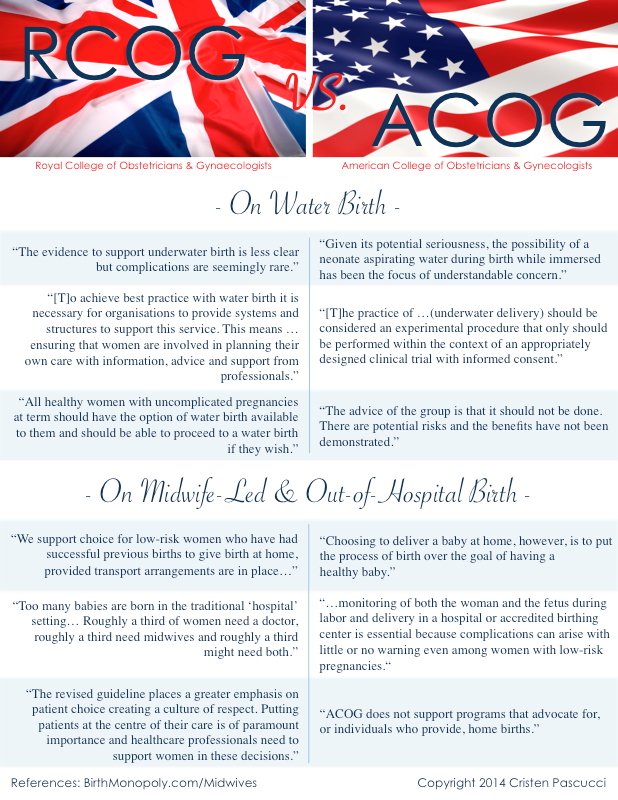 ACOG’s current policy on home birth is here (2011, reaffirmed 2013). 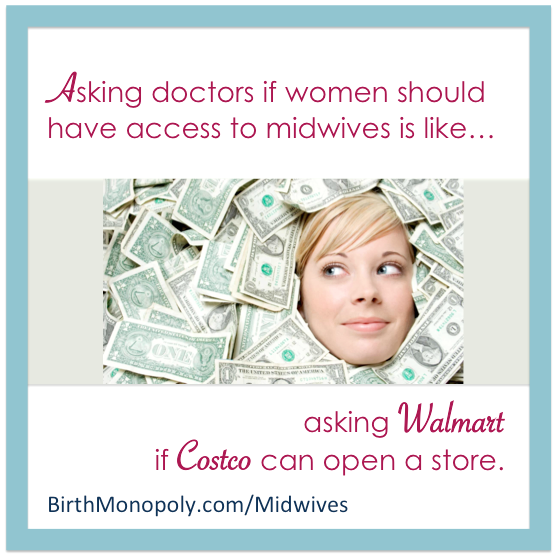 Support Birth Monopoly + make change! Share this article with your legislators and state medical associations, as well colleagues and community members! 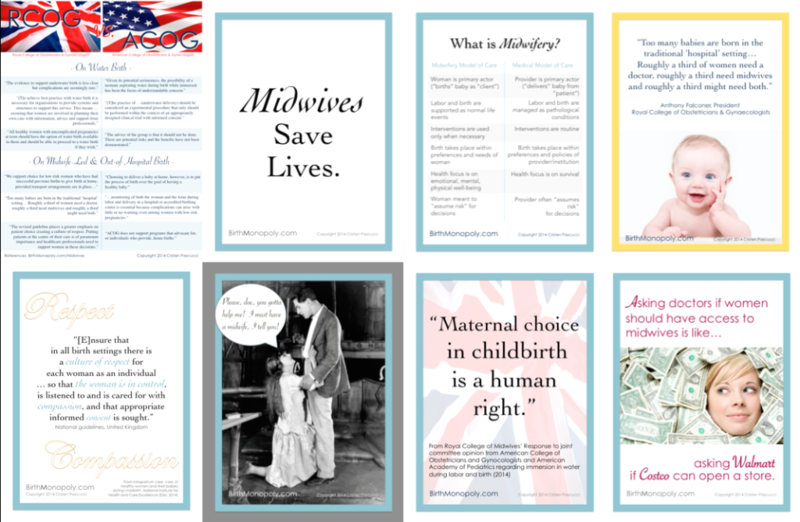 Download the printable article “Why Are We Asking Doctors if Women Should Have Midwives?” plus the 8.5″x11″ printer-friendly handouts (below), for use with clients, colleagues, and friends. Awesome work. A couple of comments. The link to the prevention task force guidelines against CEFM seems to be broken. 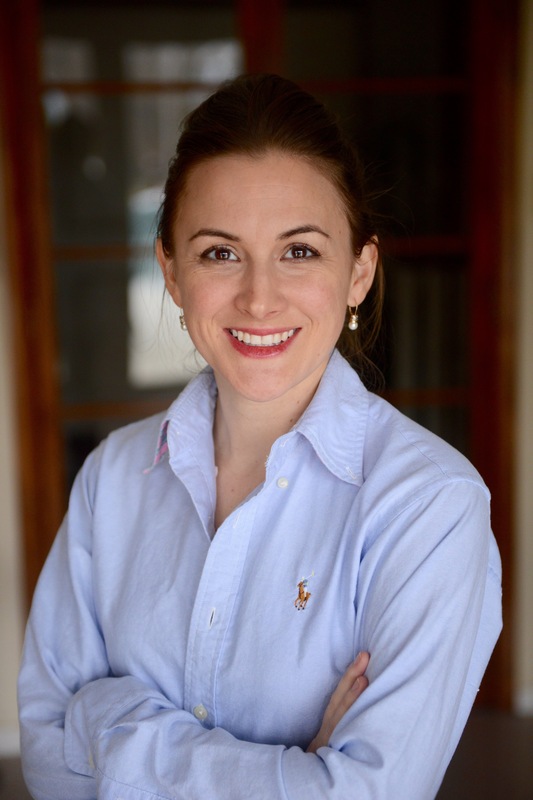 You might get a quote from Jen Kamel at vbacfacts.com, as she just spoke out at two interested parties meetings for the Medical Board of California about HBAC and general VBAC restrictions and she comes from an excellent informed place about women’s rights in this matter. She has a great “elevator speech” about known level of risk versus unknown level of risk.